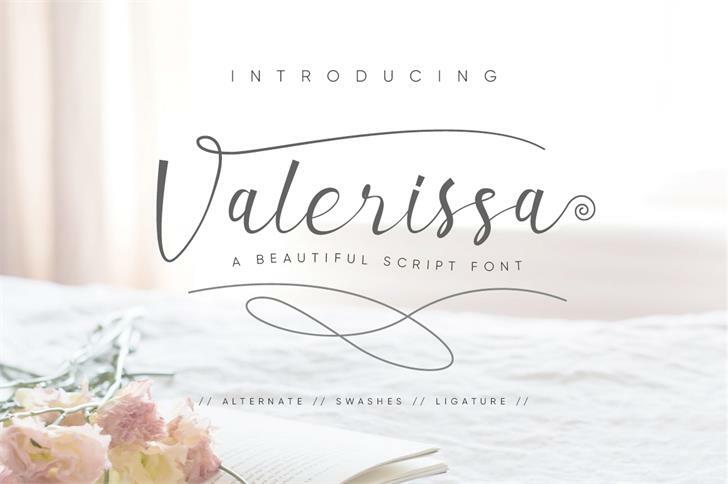 Valerisa Script is a beautiful calligraphy handwriting font. fonts look beautiful and sweet after being applied in your various design products such as websites, invitations, posters, mockups, branding cards and more. Valerisa Script includes a full set of large and attractive international letters, numbers, punctuation and ligatures. All lowercase letters include the beginning and end of the swashes. Also, follow multilingual symbols.